Great workforce management goes beyond simply ensuring you have the right people in the right place at the right time. Workforce management software brings with it a whole host of benefits, including improvements in communication, increased levels of staff retention and, now, even a smoother hiring process. This last point is thanks to the integration between workforce management software and eSigning software. But why is eSigning so important and what impact can have on a business? Well, look at this way; the latest figures from the UK show it can cost companies in excess of £24,000 to a hire a new employee. It’s a process that takes time, energy and investment to get right. Simplifying this process, reducing the margin for error and speeding up the time it takes to do it, can have a big impact on a business, saving them both time and money, especially those like restaurants and retailers who traditionally have high levels of staff turnover. Throw into this mix the three key elements shaping the Workforce Revolution (mobile technology, big data and Millennials in the workplace) and it’s easy to see why there is a growing demand for integrated, mobile-first solutions designed to optimise the way a business runs. This is where the partnership, announced earlier this year, between Quinyx and Scrive comes in. Together, we will facilitate this process by offering a complete solution for digital signing for our customers. Pen and paper will be replaced by digital signage directly through a smart device or a computer, greatly simplifying and speeding up the whole process. 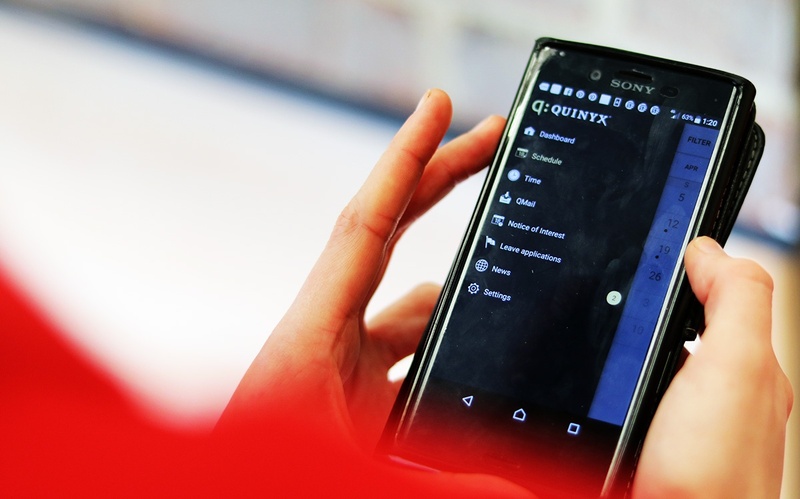 As Isabell Aakervik, Global Partner Manager from Quinyx, says: "Being able to offer our customers yet another opportunity to optimise their HR processes through e-signing employment contracts feels amazingly fun. Scrive is like us, a supplier that has many great customers in nearly 30 countries, making them a strategic partner to grow with." So what benefits does integrated eSigning bring? It reduce costs. Because it takes less time, there are less errors and it’s easier to manage, eSigning costs significantly less than the traditional manual method. With staff turnover for businesses like restaurants at a whopping 70%, these cost savings will soon add up and directly benefit the bottom line. What’s more, it will help you go paperless and is much more environmentally friendly. Deliver a better experience. Millennials bring with them a weight of expectation. They are so used to controlling everything in their personal lives from their phones, they expect to be able to do the same in a professional capacity. It’s much easier to create a smiling workforce by delivering on these expectations. When eSigning is integrated with a WFM solution, it does just this. Everything in one place & better control. Traditionally, the employment process will include a number manual steps, countless pieces of paperwork and the involvement of multiple parties. A major part of the challenge of the new hire process is the document signage, as the contracts are often printed and sent between candidates and internal departments before the employment commences. It’s easy for things to get lost. Having this process built into your workforce management application means everything is in one place, you have better control and the margin for error is significantly reduced. Faster onboarding process. One of the biggest challenges all businesses face is getting their new hires up to speed as quickly as possible. When the onboarding process is streamlined, new hires can get to work quicker and start focussing on delivering for you, rather than worrying about endless paperwork. Join us on Tuesday, November 28th for a very special, free webinar with our CEO & Founder, Erik Fjellborg and find out if your business is ready for the Workforce Revolution. Just click the button below to register.